How substitute expressions can cut the tension and keep your brand human during tough situations. Why going above and beyond will always pay off when it comes to customer loyalty. The transition from sales to customer retention sets the tone for your relationship… handle them with care! Gosh darn it and gee willikers are making a comeback! Well, not yet but they can. Employing substitute expressions is a silly but effective way of making a more personalized and less robotic connection with a customer. Don’t swear at CX reps because they are the ones who can truly make your problems go away. Creatively expressing frustration using substitute expressions can connect you with customers without offending them. Be careful of the words you use. Even substitute expressions can have unintended consequences. Customer experience is a powerful tool when it comes to changing or improving your image. Even the most hated of industries are successfully changing the conversation around their brand through stellar experiences. In the current era of mobile technology, accessibility is king. All it takes is one stellar customer care experience to win permanent loyalty. When it comes to snagging a customer for life, think through and optimize their first-hand experience with your product. The larger the company, the more hands a customer passes through on their sales journey. To keep them happy and turn one purchase into repeat purchases, make sure every step of the process is seamless across employees. The moment an employee promises something to the customer, then delegates the work to someone else, your customer care delivery is in question. The customer experience and relationship should stay the same from sales pitch all the way through to account management and maintenance. Keep your customers happy by ensuring they don’t have to repeat themselves to every single agent they interact with. Welcome to Experience This! Where you'll find inspiring examples of customer experience, great stories of customer service, and tips on how to make your customers love you even more. Always upbeat, and definitely entertaining, customer attention expert Joey Coleman. And social media expert, Dan Gingiss serve as your host for a weekly dose of positive customer experience. So hold on to your headphones, it's time to Experience This! Get ready for another episode of the Experience This show! Join us, as we discuss fun words to replace profanity, how we love and can't stand cable companies, and how not to drop the customer service ball during the handoff. Fiddlesticks, fiber optics and fumbles. Oh my! It's shocking how often people use 38 words to describe something, when two would do the trick. We're looking at you lawyers and accountants. Words matter, and there is no excuse for trying to hide what you mean. We explore words and messaging in this next iteration of Say What!? Joey: Did you really just say "drat?" Joey: Dan, no one says "phooey" anymore, they really don't. Dan: Well actually, Joey, they do. So I read this article in the Chicago Tribune by the opinion writer Eric Zorn, and it was an awesome piece about what he calls "substitute expressions," or and I quote "words with much of the explosiveness and color of profanity, but none of the risk" unquote. Dan: He talks about mixing words with a whole bunch of peculiar euphemisms to soften the meaning, usually, to be courteous to the listener. You know, like drat and phooey and heck and shoot, cripes, dag nabbit, even freckin'. Joey: Freckin', I love that one. It doesn't leave much to the imagination, but folks, it won't get you beeped off the podcast. So you're good to go. You know, Dan, I was thinking about this from two perspectives. Right? From the customer's point of view, and the company's point of view. I would ask all of the customers out there listening, don't swear at a customer service agent or employee. It's not necessary, it puts them immediately on the defensive. And you're less likely to get what you want because you end up appearing like a jerk. So when it comes to swearing in business settings, don't swear at the company. Dan: And because I know you, I'm going to guess that the other perspective is from the company's perspective, and for that I would say that using some of these substitute expressions could be a fun and humorous way to empathize with a customer who's having a problem. Maybe a Tweet response that says "Drat, I hate when that happens, let me help you fix this." It makes you sound a little bit more human and also allows you to add some light to a situation while you're also trying to solve the problem. Joey: Totally agree with you Dan. And those folks who know me, know that ... And you know what, in the beginning I used to not be proud of this, and sorry mom and dad if you're listening you raised me better. But I had been known to try to paint a little bit with a paint brush of cursing from time to time. But, that being said, with all humor and using these substitute expressions, you want to be a little careful because something that might be funny or quirky to you might be offensive to the person you're talking to. For example, there's this interesting concept of the phrase crime in Italy. It's a variant on the classic crimony, which in itself is a minced way of saying Christ. So both Christians and Italians, and not to mention Christian Italians which there are a boat load of those, may take offense at you using this term crimony. There are others with veiled religious references like gosh and egad and jeepers creepers, which some would say violate the spirit of ... the biblical commandment of taking the Lord's name in vain. So you want to be careful with these. But that being said, most people I think in this day and age, are going to respond to you using some of these more old fashioned substitute expressions for swear words, and they're going to see it as a really fun and playful way to engage with you. Dan: So go ahead, use your favorite faux swear word. Balderdash! Fiddlesticks! Son of a beach ball! Sometimes the customer experience is amazing! And sometimes we just want to cry. Get ready for the rollercoaster ride in this edition of I love it! I can't stand it. Dan: Alright Joey it is time for another I love it, I can't stand it. And today we're going to talk about cable companies. Joey: Ahh, cable companies. The pinnacle of a love/hate relationship. You know, in my workshops Dan, I often ask what the is most frustrating brand experience you've ever had. And no matter where I do that work shop, no matter who is in the audience, cable company names come up. And in full disclosure, I live in a remote area of Colorado, where I can't even get traditional cable. I had DirecTV for a while, but cut the cord about a year ago. So any of the comments that I share in the love it, can't stand it riff that we're going to go on here, they come from past experiences with cable companies but not necessarily my current experiences. Dan: Fair enough. Well let's get ready. Joey: You like that lawyer disclaimer? Wasn't that nice? Joey: I just wanted to put a little lawyer disclaimer in there. Dan: Yes, the lawyer on the show. Joey: Okay. Are you starting with I love it or I can't stand it. Dan: I'm going to love it first because I ... its good news. Joey: Okay love it first, I love it, let's do it. Dan: So I really love it when I watch virtually any TV show on demand for free. And my current cable company allows me, I think it's the top 200 shows on TV. I can pick any one of them and watch basically all of the seasons for free. And, I'll tell you, that's a pretty good value for me. Joey: Dude, I love it. That's great. I love it when I can search, because I don't have a subscription. I can search and see from all the things I do partake in, where can I watch the movie for free. So, for example, we have Amazon Prime on the Firestick, We have a Netflix subscription, we have Apple TV, and all of these things kind of meld together. And what's really cool is from the Amazon main search window, you can search and it will tell you where the show is and what it's priced at, so you can pick. If it's available for free, you can go for the free one, without paying for it. Dan: That's cool. I like that, choices are always good. And you're right that those offers are often different across platforms for some frustrating reason so making sure you're getting the best deal is always good. I also like it when I can watch TV anywhere I am, whether it's my phone and I'm on the train, or even if I'm at the computer and getting some work done, love to have the Cubs game on as well and watch it. So, I think this idea that companies are figuring out that we are mobile people these days and not everyone watches television sitting on their couch in the family room. Although that is a favorite place to watch, it is not where I always watch. And so, I do really appreciate when I'm able to open up an app and watch it anywhere I want. Joey: Fantastic. I actually love the technology behind DVR and how cable companies have rolled that out, and the fact that I can record shows and watch them not only where I want to in your example, but when I want to. I think that was a game changer in the world of television, and I know you travel a lot, I travel a lot, and being able to come and like binge watch a bunch of episodes that I recorded while I was away is just a fantastic option that I think cable companies have made available to us. Dan: I'm glad you mentioned that because I used to have this debate with a friend of mine about what was the biggest piece of technology to come out in our lifetime, like the biggest game changer. And yeah it's easy to say something like the IPhone, which probably, its definitely a fair answer. Dan: But I think when you rewind a little bit back and you look at some of the other technology that's happened in our lifetime, I think the DVR is pretty damn near the top of the list. Joey: It's definitely right up there, it's definitely right up there. Dan: So anyway, love that one. You know, this is a small thing but you and I love pointing out small things that make a big difference. So on my cable box, if I type in channel five, which is NBC, it will automatically move me to the high definition version of NBC. Which is like 9640 that I can never remember. I can just remember the channel five, it's been channel five since I was kid and we didn't even have cable. And I could just type in 5 and it knows that I really want to watch it on high def and it moves it there automatically. That to me is a really small thing that makes a big difference. Joey: I love it. You know, another small thing that I really love is that you can watch past shows, past episodes on demand, without needing to setup a recording on the DVR. Because every once in a while, when we had cable, I would forget to record a show and was kind of frustrated. And as the technology improved, they started just making things on demand. So, for lack of a better way of putting it, they did the thinking for me. And any time I can outsource my thinking, I like to think I'm going to take that option. Dan: Alright, one more I love it from me is ... I had an experience recently and I'm going to name it because I'm really proud of them. It is with our friends at Comcast Xfinity, which probably gets called out more often than not for bad experience but they are working so hard on this. And I have seen the results. I had a situation where a lawnmower ran over the cable wire and completely knocked out the cable. Joey: Sorry Dan, a lawnmower? Or you running your lawnmower? Dan: Well, you see, I didn't really want you to probe about whether it was me or not. Joey: I'm sorry you spoke as if you have an automated robot lawnmower that accidentally ran over it. Okay that's fine, that's fine, if you want to take ownership of the mower and who was driving or pushing at the time, I completely understand. Dan: See, and I thought you were going a different way, which was to question whether it was I who was mowing the lawn, or may or may not had been someone I paid to mow the lawn. Joey: Oh, nice. That's a whole other level. I didn't even go there. I love it. Dan: Yeah, so I'm not going to ... I'll leave that one up to the imagination. In any event, the cables out. So what did I do? Well it is what I do, I went to Twitter, right? And I actually did not want to embarrass the company because it was kind of my fault. So I sent them a DM in Twitter that's a direct message Joey, since I know Twitter is not your thing. Joey: Thank you, thank you for teaching me that. Dan: Not only did I get a response back in mere minutes, I mean minutes. But in the series of a couple of DMs back and forth, the guy scheduled an appointment for me, checked the next day to make sure that the guy had come and rerun the wire, let me know that it would take two weeks to have a different company come out and bury the wire, and then two weeks later followed up with me again to make sure the wire was buried. And I was really impressed, because all of that happened without me having to talk to anyone. And the fact that he proactively followed up with me not once, but twice to make sure that everything was okay. To me, that was stellar service. Joey: Oh I love it, I love it. You know, the going above and beyond and anticipating things, actually is another something I loved about a recent experience I had my Amazon Firestick. So, my wife and I ... The kids had gone to bed, we decide to watch a movie. We started watching this movie and it was buffering a lot and the bandwidth was bad and the connection wasn't working. So it kept pixelating and we'd have to kind of pause and wait a few minutes and start it again. I mean there are benefits to living in the mountains but this is maybe one of the downsides that on Friday night everybody who's on the satellite internet is crunching the time. And we pushed through and we watched the movie and it was great, but I have to admit I was a little bit bummed but not to the point where I was going to reach out and ask for a refund or complain. Next day, I'm on my computer and I get an email from Amazon. And Amazon says "Hey, we see that there was some buffering going on with the movie you rented last night and we're imagining that that led to a lot a less that optimal viewing experience. So we've decided just to refund the 4.99 that you paid to rent the movie." Joey: Dude, I was blown away. I was blown away. Because I didn't even have to raise this issue. And what I'm guessing is going- I know we talk about AI from time to time on the show. I'm guessing that somewhere in Amazon's automations and algorithms, they recognized that there was a lot of pausing in watching the movie and that there were speed issues, and they just decided to say you know what we're going to refund the money. And what that meant is, going forward, if I have my choice of where I'm going to rent a movie from, it's going to be from Amazon. Because I know they'll take care of me. Dan: Of course. And this is another great example of- All Amazon was doing was using its own data and own technology to make your experience better. And a lot of companies, especially a lot of non customer centric companies, would have instead said "well, we'll wait and see if Joey complains." Dan: "and if he does, maybe we'll refund him then." But meanwhile you've paid for a phone call, you've paid for all this other stuff and Amazon probably saves money by doing this. Joey: Totally, and then they kicked me the email and then, take a guess as to how many times I've told that story. I mean pretty much a million. Right? Anytime this topic of TV or great customer service comes up, I want to share the Amazon story, it's amazing. Dan: That's awesome. Okay. Now, guys we are talking about cable companies. So, we've started off being really nice and sharing the love it. But now we're going to talk about when we can't stand it. Joey lead us off. Joey: Drives me crazy. Okay so here's a question. 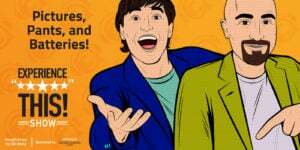 Cable companies often run these specials for become a new subscriber and sign up. And you get all of the channels, and it's 19.99. And then after like a year, to get all of the channels is like 189 dollars a month. Right? So they hook you in with the lower deal, but then once then you're actually a loyal customer and you're staying with them, you pay more. Now what happens is, most people just keep paying. And 2, 3, 4 years in, they're still paying. But every once in a while, while doing that, I would still, for whatever reason see an ad on TV or get a mailer that probably wasn't supposed to come to my house, offering me 19.99 to sign up. And it drives me crazy that the loyal, veteran customers that are sticking with them are paying tons more than the brand new customers. Who frankly are the fickle tire kickers, price chasers that are just going to find out what the best deal is, run it up to the term, and then cancel and go to another company. Drives me crazy. Dan: Yeah I mean by definition, since they're responding to such a deal, when the competitor offers a better deal, they're the most likely ones to jump. Dan: Alright, well speaking of pricing, one of the things that frustrates me- I like I know a lot of other people do this but probably once a year I look at my bill and I'm like man I pay a lot for cable. And so I call up and I say "hey, anything you can do to reduce my bill?" And hey sometimes they'll say something like "well how often are you watching HBO or something like that we could take that off." And I'm like "Ah I kind of want to watch Game of Thrones. What else?" And invariably what happens is "Oh well let me just check for a minute." You know type, type, type, type, type, type, type. "Well we do have this program here." "Really well what's that program?" "Oh well it actually give you everything that you have right now its like the same package." I'm like awesome how much does it cost? "Oh its 25 dollars less per month." "Really? Well why the hell am I not on that price?" Joey: Crazy, crazy. I actually want to pile on that one. I can't stand it that this happens and they don't grandfather you in. How different of an experience would it be it be that when they come out with a package the same as your existing package at a lower price, what if they sent you- They don't even have to message you they could just add it into your bill and say "Hey, by the way, we discounted our price so going forward you're going to spend 25 dollars less per month and you'll still have all the same packaging, all the same service." You would love that and that would make you be even more loyal. Just do the right thing people. Dan: It's the exact same thing that Amazon did with you when you had buffering issues right? Dan: So I have definitely thought about that same thing and have wondered which cable company is going to figure that out. Where when they change the price, and they proactively tell you that you now have a lower price, you have a customer for life at that point. Dan: Alright. I'll tell you something. We talk a lot about customer experience and a subset of customer experience is user experience. And user experience is usually referring to technology and how technology works. Think about when you go to a website, is it easy to find stuff, can you navigate, do the buttons make sense, all that sort of stuff. My wife and I, when the kids go to bed we tend to watch shows on closed captioning so that we can have the volume down and not have it really loud and wake up the kids. It takes like eight different clicks for me to turn on the closed captioning because it's buried under like 17 submenus. And when you think about in today's day where all you have to do is say "hey Siri" and then turn on closed captioning and she does it. And it's frustrating to me when the cable box is still this, essentially, thing from the past, that seems to operate on '80's technology instead of, what are we in now, the 2010's technology. Joey: Yeah exactly. No I totally agree. Why do you need to make something that should be simple complex? It gets one of the things I can't stand, which is the bill. Where you list- There's like dozens of miscellaneous random fees and taxes and all these things and I got to admit, half the time I'm wondering if it's just that they wrote that there's a tax, but it's actually just money going to the cable company. I don't mean to imply they're nefarious, but the stuff is so confusing and I think we just look though it and we say well I guess that's the way it is, I presume that's the way it's going to be but if you try to get into it and figure out what those charges actually are, forget about it. God forbid you call up a rep and ask them, they have no idea. It doesn't say it on the bill, stop making things that should be easy and straightforward complex. User experience matters. Dan: Totally, totally agree. And one more that I would say is also user experience. Pretty much every cable company, and I'm pretty sure the satellite companies do this too, they offer something called the guide. And the guide is designed like the TV Guide. Like the old magazine, I don't even know if they're still around. The grid. Joey: Right? We're dating ourselves here Dan. That we both know what a TV Guide is. Dan: I think that most of our listeners know what this grid looks like. This is a- I mean TV Guide came out in like the '50's, right? And so this is a way of searching that is so old. And today, of course, how we do normally search? We go to Google, we type in what we want, and we get what we want. But I still have to go through this long guide. And of course we have 7000 channels right? So am I really just going to keep paging down until I find the right channel? And you know the time is across the top and I want to know what's on tomorrow morning. So I'm click, click, click, click, click, click, click, click, click, click, click, click, click, all the way over to 8 AM tomorrow morning. And it's just, it is a completely backwards user experience that- And what's so weird to me, is that this grid is so recognizable as the TV Guide grid that has been around for, literally, half a century and has not been updated. Joey: Totally agree. Yeah and along those same lines something that I can't stand. We live in an increasing mobile world and while you mentioned, I think in the love its, that you love that you can watch on your phone or your Ipad. I travel a ton, and if I cross the borders of the United States, now I can't access that stuff. I log in and they're like oh you're on an internet connection that's coming from Europe so therefore you can't watch these shows or access this. I'm really waiting for the point that people say we recognize our customers are traveling, we recognize that they might be in other countries. If the credit card company can recognize that I'm in a foreign country and not presume that my charges are fraudulent, maybe the cable company could recognize the same thing and just let me watch my Notre Dame football. Dan: Alright, well that is another segment of I love it when and I can't stand it when and I tell you, there's a lot to talk about on cable companies. And we'd love to hear from you as well if you love or hate your cable company. Joey, how can they do that? Joey: Just go ahead and come to the ExperienceThisshow.com page, there's a little widget called Speakpipe you can hit on. Leave us a message, leave us a little recording, hit us with a little email, let us know what you love and hate because folks we'd love to feature your thoughts on the show as well. Come be part of the conversation. There are so many great customer experience articles to read, but who has the time? We summarize them and offer clear takeaways you can implement starting tomorrow. Enjoy this segment of CX Press. Where we read the articles, so you don't need to. Dan: This weeks article comes from Forbes and a customer service guru that we haven't yet mentioned on the show but I'm betting we will again. And that is Micah Solomon. Now I read virtually every one of his articles, and he is unbelievably prolific. And he does a great job at identifying unique tidbits that can make or break an experience. And this time he brings a sports metaphor, which even he acknowledges are usually pretty lame. But this time, he brings in a football metaphor and specifically, he talks about dropping balls. And he says, and I quote "The most common place that balls get dropped in customer service and the customer experience is on the handoffs." Joey: Absolutely. Big fan of Micah's work, have never had the pleasure of meeting him in person but wow. What a writer and what perceptive insights. And he outlines a lot of this in the article. He goes on to say that the moment a customer facing employee promises something to the customer, then delegates the work to someone else, your customer service delivery is sudden in question. Theoretically, in the ideal world, everything you do for a customer should be taken care of by the person who took the first request. But in a modern, complex organization of course, this isn't usually the way it works. Dan: So, I like this article because it highlights a key customer pain point. We know in customer call centers, for example, that the single biggest pain point is having to repeat your story. And that often happens because one employee either can't handle the problem and has to hand you off to someone else, or one employee tells you something and another employee has no idea what that first employee told you or promised you. And this also happens all the time with sales people who try to promise you the world, they complete the sale, and then all of a sudden they're no where to be found when the actual experience of the product or service goes south. Joey: Absolutely Dan. This is so readily apparent and prolific in so many businesses it's actually heartbreaking, right? I often liken this stuff to dating to use another analogy. Imagine you meet someone and you think oh this incredible, I'd like to have a relationship with this person. And you go on some dates and you go to some dinners and maybe and movie. And you meet their parents and one thing leads to another and suddenly one person's down on one knee proposing to the other person and saying I'd like to be in a relationship with you. And to our surprise and delight, the other person says I would too. And we're like yes this is fantastic. And we host this big kickoff party, I mean wedding. And get everyone together and we celebrate this new relationship and this new bond. And imagine you head to the honeymoon suite and you open the door, and there's another dude standing there. And you say to your beloved, honey this is Bob, he's going to be taking care of you from now on, I need to go find someone else to date. We would never do this in our personal lives, and yet this is how most sales programs work at the typical organization. The sales person does all of the courting and the dating, gets the commitment, and then right as the relationship is really supposed to kick off and start in a wonderful, fantastic way, they get introduced to an account rep who's never been on any of the dates, has not been involved in any of the conversations. And I think Solomon really points out in this article that you need to make sure these handoffs are smooth. You need to make sure that everything the customer tells you in that sales process and leading up, and all the little hints they give as to what they really care about and what they really want, this has to be transmitted to the account team. Or else you're starting off the relationship in the hole. Dan: So Solomon makes a recommendation on what to do and what the answer is. And what he says is that the original employee who talks to the customer should always be the responsible one to follow up on the request, even if it isn't they, themselves who doing it. So they're supposed to follow up with two people, Micah says. The first is the person that they handed off the issue to. So if they sent it to one of their colleagues to resolve, follow up with the colleague and make sure it was resolved. You can probably guess, the other person that they're supposed to follow up with, and that would be the customer. Joey: Would that be the customer? Dan: To make sure that the customer also feels that problem was resolved. So in this way you are crossing the t's and dotting the i's twice and making sure that both parties agree that the issue has been resolved. And hopefully your customer lives happily ever after. Or whatever marriage metaphor I continue to use. Joey: Totally, I think at the end of the day, the key premise of this article is the takeaway everyone should keep in mind. Anytime in your business that there is a handoff between one of your employees to another employee, you need to hone down and focus on that exchange, and guard it with your life. Make sure that it is smooth, make sure that the customer can see it, make sure that the customer has transparency and awareness about it. And if you can do that, I kid you not, like 95 percent of your customer experience and customer service issues go away. Because it's those dropped balls or those dropped handoffs that really cause all the problems. Dan: Hey Joey, do you mind if I hand off the next segment intro to you? Joey: Oh, that was effective. I will gladly take it. 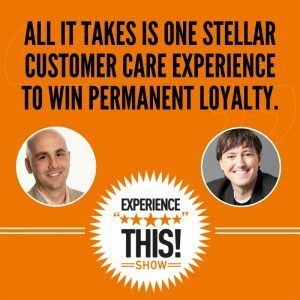 Listen in while we try to stump and surprise each other with a fantastic statistic from the worlds of customer experience and customer service. Its time to check out this number. Dan: Okay Joey, the number this week is nine times. What do you think it refers to? Joey: Nine times. The number of times Ferris Bueller was absent from class? Dan: Bueller. Bueller. Fantastic movie reference but actually not what I was looking for. I was actually looking for web leads. And web leads are nine times more likely to convert if they are followed up with in under five minutes. And that, people, is fast. And this stat comes from our friends at Oracle CX Cloud, thanks for sponsoring our show. Dan: And their eBook Digital Transformation 3 Areas of customer experience to invest in right now. Joey: I find this statistic to be so fascinating and also so true. I mean you go to all the trouble and all the hassle of creating lead gen on your website and you have your forms. And then somebody fills it out and it's like it goes into no man's land. Right? They never hear back from the company, and they wonder if it's ever even going to be responded to. They fill out another form, we got to be fast with this, people. If you're going to go to the trouble of having web leads come in through your website, at least make them go straight to someone. Pick your hungriest salesperson. Make them go straight to that person so they can follow up as quickly as possible. And ideally, in under five minutes. Tick tock, tick tock. Dan: Remember people, these are folks that are writing in to ask if they can pay you some money. Those are generally people that you want to talk to so get back to them quickly. Thanks again to our friends at Oracle CX Cloud. Go see them at Oracle.com/connectedCX where you can download the eBook that we referenced immediately. And if you give them your email, you can pick up two more customer experience reports. Thanks a lot to Oracle CX Cloud for sponsoring the Experience This show. Wow! Thanks for joining us for another episode of Experience This! We know there are tons of podcasts to listen to, magazines and books to read, reality to watch. We don't take for granite that you've decided to spend some quality time listening to the two of us. We hope you enjoyed our discussions and if you do, we'd love to hear about it. Come on over to experiencethisshow.com and let us know what segments you enjoy, what new segments you'd like to hear. This show is all about experience. And we want you to be a part of the Experience This show. Thanks again for your time and we'll see you next week for more Experience This!